On June 18th, a one-day scientific symposium in Paris entitled “Neurobiological basis of Anxiety disorders”, got together scientists from 6 of the partners of DEVANX (1) , a European project coordinated by Inserm and launched in 2008. It was an opportunity to take stock of what knowledge has been acquired about the neurological basis of anxiety disorders. Over the last few years, great progress has been made in our knowledge of brain circuits and the key molecules involved in the manifestations of anxiety. The use of animal models has greatly contributed to our understanding. In mice, it was possible to observe behavioral changes that occurred in situations of emotional conflict, for example how the animal chose between exploring new avenues (curiosity) and withdrawal (fear). It allowed us to describe the way in which the animal acts in a situation of learned fear: how the animal learns to associate a neutral environment with potential danger. Serotonin and GABA are the 2 main molecules that act as “messengers” (or neurotransmitters) between the neurons involved in states of anxiety. And these are the common targets for “anxiolytic” drugs. However, the exact role played by these molecules and their interactions with the environment are still unknown. Genetics and the new information gained about brain plasticity need to be integrated into our constantly growing understanding of the mechanisms involved. Patricia Gaspar and Laurence Lanfumey, Research directors at Inserm and coordinators of the DEVANX project, have worked with their colleagues to study the neurobiological bases of anxiety from different angles. 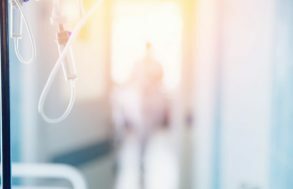 The GABAb receptors present in neurons are targeted by new molecules that work in a completely different way from conventional anxiolytics (benzodiazepines), that act on the GABAa receptors. By finding out more about the structure and the function of GABAb receptors and their interactions with the serotoninergic system, we can propose new therapeutic targets. A particular example is Benny Bettler’s team, a member of the DEVANX consortium in Switzerland. They demonstrated that GABAb receptors are heterodimers (a combination of two different receptor subunits) that possess partner proteins capable of modifying their binding properties. The pharmacological properties of GABAb receptors vary depending on how the partner proteins are organized. From a therapeutic point of view, positive modulation of these receptors represents a possible strategy for developing new anxiolytics. John Cryan, a partner of the DEVANX consortium in Ireland, has shown that inhibiting GABAb receptors can reduce depressive behavior. Working along the same lines, Laurence Lanfumey’s team in Paris studied the connection between GABAb receptors and the serotoninergic system. These subunits are receptors with seven transmembrane domains bound to the G proteins via the GABAB2 .subunit. The difference between the GABAB1a and GABAB1b subunits is that there are two terminal domains (sushi-domains) on the GABAB1a subunit. In people who suffer from depression, panic attacks, anxiety disorders or phobias, administering drugs that increase the serotonin level reduces these pathologies. However we know very little about the initial cause of this lack of serotonin that causes the disorders. That is the reason why the researchers need different animal models to discover and analyze the different situations of a brain that is “depleted” of serotonin. Serotonin is involved in numerous physiological functions: sleep/wake rhythms, impulsivity, appetite, pain, sexual behavior and anxiety. Its action is mediated by around fifteen different receptor sub-types. The serotoninergic system is a multiple system: it is present in the central nervous system (in the Raphe nuclei of the brain) and in the peripheral nervous system (in the enterochromaffin cells of the digestive tract). The way in which neurons “specialize” into serotonin neurons is controlled by different molecular factors, depending on their location, and does not all happen at the same time in the course of development. One of the studies carried out by the genetics specialists as part of the DEVANX project aimed at conditionally targeting the production of serotonin at a given time and in a given location. For example, Dusan Bartsch’s team, a DEVANX partner in Mannheim, produced genetically modified mouse models that allowed them to reduce the serotonin at different times during the life of the mice, by creating models known as inductable models (in which the elimination of a gene could be induced by administering a drug). Patricia Gaspar’s team in Paris characterized mutations in which only part of the serotoninergic neurons was affected (mutation of a Pet-1 transcription factor). In these mice, the team noted that spontaneous anxiety was reduced, but that their fear conditioning was increased. Therefore, the lack of serotonin in the central nervous system could mean that the subjects more easily associate neutral situations with a panic reaction. By linking the research into fear with the latest neurobehavioral findings, it was possible to combine the approaches. It is becoming more and more evident that it is the normal neuron circuits specialized in dealing with fear that are pathologically affected or amplified in anxiety disorders. So it is very important to understand and analyze how these circuits function in “real situations” in animal models. The end purpose is to find a way of “deconditioning” certain brain circuits that have been abnormally or over-activated. The new approaches to physiology on the knockout animal, combined with pharmacogenetic research, have made for progress in this field. For example, Agnés Gruart’s laboratory in Sevilla, one of the partners of the DEVANX project, has recorded different neurons from the hippocampal circuits in different fear learning situations and observed the effect of modifying the message conveyed by GABAb and serotonin. 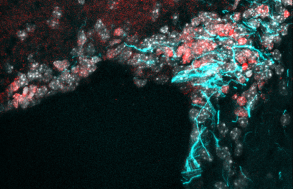 Cornelius Gross’s team from EMBL in Rome has shown that we can use serotoninergic receptors (5-HT1A) expressed in different areas of the brain in order to temporarily deactivate highly specific neuron circuits. This allowed them to identify the hippocampal and amygdala circuits involved in the generalization of fear. Research into anxiety disorders, as in numerous fields of neurosciences, is now using integrated approaches that require multiple fields of knowledge. Molecular studies now need to be integrated into the whole animal context that expresses behavior patterns as similar as possible to physiological situations, while still being strictly controlled as experiments. Genetic tools now provide us with unequalled power for researching into a determined molecule function, or a molecular assembly within a given circuit and a precise time slot. This type of approach will continue to develop in the years to come, with the coming of tools that will allow us to activate or deactivate certain selected neuron circuits. By solving these intertwined elementary processes step by step, we should at last find the explanation to the mechanisms underlying pathological anxiety disorders. GASSMANN M, BETTLER B. 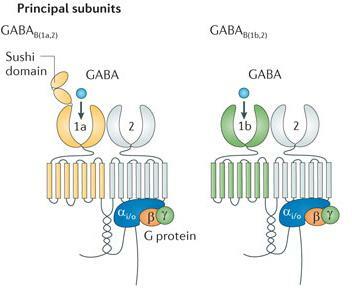 Regulation of neuronal GABA(B) receptor functions by subunit composition.Nat Rev Neurosci. 2012 May 18;13(6):380-94 MARKOU A, CRYAN JF. Stress, anxiety and depression: toward new treatment strategies. Neuropharmacology. 2012 Jan;62(1):1-2. NARBOUX-NÊME N, SAGNÉ C, DIAZ S, MARTIN C, ANGENARD G, HAMON M, MARTRES MP, GIROS B, LANFUMEY L, GASPAR P, MONGEAU R (2011) Severe serotonin depletion, growth and behavioral abnormalities in conditional vesicular monoamine transporter 2 knockout mouse Neuropsychopharmacology 36:2538-2550.